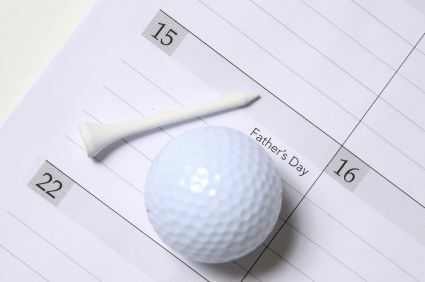 Are you looking for something to do with day for Father's Day in northeast Ohio? Check out this list of fun activities, from an auto show to golf to a traditional brunch. (All activities listed are on June 19 (2016), unless otherwise noted.) List updated for 2016. Avon Duct Tape Festival -- Veteran's Park in Avon; June 17-19; rides, crafts, food, music, and fun. Friday 4pm - 11pm, Saturday 11am - 11pm, Sunday 11am - 5pm; admission is free. Cleveland Metroparks Zoo - Father's Day at the Zoo; free admission for dads and special activities; 10am - 7pm. Goodtime III Cruises - Father's Day brunch cruise; 1pm - 3pm; $35.95 for adults, $24.95 for children; call 216 861-5110 for reservations. Nautica Queen Cruises - Father's Day brunch and dinner cruise; 11am - 130pm or 4pm - 630pm; call 216 696-8888 for reservations. Mustard Seed Market and Cafe - 3885 W. Market Street, Akron; Brunch buffet 1030am - 3pm; call 330 666-7333 for reservations. Pickwick and Frolic - Downtown Cleveland; brunch 11am and 130pm; 216 241-7425 for reservations. Stan Hywet Hall and Gardens - Akron; antique auto show; more than 350 autos; 9am - 4pm; $14. Dad's Day Run - Shaker Family Center, 19824 Sussex Rd., Shaker Hts. ; 1 and 5-mile runs and walks plus other activities; registration starts at 730am; races at 830am and 930am. McKinley Museum -- 800 McKinley Monument Dr. NW, Canton, OH; free admission for dads. Saturday, June 18th from 9am to 4pm. Akron Rubber Ducks Celebration -- Canal Park in Akron. Festival of the Fish - Downtown Vermilion, OH; kids activities, a parade, festival food and live entertainment; Saturday and Sunday, June 18th and 19th. Cleveland Indians baseball -- The Cleveland Indians face the Chicago White Sox all weekend at Progressive Field; First pitch on Sunday is at 1:05 p.m.
Akron Zoo -- 500 Edgewood Ave., Akron, OH; dads and grandads get 50% off of the regular admission on Sunday, June 19th. Grand River Cellars -- 5750 S. Madison Rd., Madison, OH; Father's Day brunch; noon to 7:30 p.m.
Brasa Grill -- 1300 West 9th Street, Cleveland, OH; Father's Day brunch; 10:30 a.m. to 2:30 p.m.